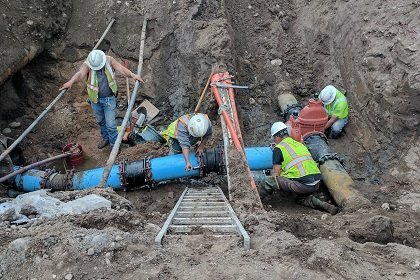 The Town completed the installation of the waterline connection near 500 Main Street late Thursday, April 27, and the water system is back to standard operating mode. The water pressure fluctuation issues should be resolved. Please be aware that some users may still notice sediment in their water lines, and if so, run faucets to clear out the sediment. The Town's website developer, CivicPlus, is experiencing technical complications with agendas downloaded in PDF format. Please use HTML to access agendas and packets until further notice. HTML format can be accessed by selecting the clickable date of the meeting, or within the "Download" dropdown button, to the right of the meeting date. Monday, May 1 | 10 a.m. and 7 p.m.
Boulder County and the City of Boulder will run the audible testing of the countywide emergency sirens at 10 a.m. and 7 p.m. on Monday, May 1. The test is the second of the monthly emergency audible siren tests, which take place each year on the first Monday of each month from April through August. The audible siren tests will occur twice on each testing day, at 10 a.m. and 7 p.m., on May 1, June 5, July 3, and August 7.